Request: I’m squinting at the screen. Can you make the font larger? Solution: Our themes comply with web accessibility standards and use size 14 font. If you’re having difficulty reading the screen we suggest adjusting font settings on your browser or zooming in on those tricky web pages. Request: What if I want my site to come with me when I leave OSU? 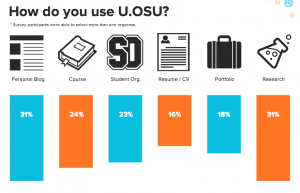 Solution: U.OSU utilizes Shibboleth login and is therefore contingent on your status as a student or employee. However, fret not, you can export your U.OSU content into your own WordPress site. For more help check out our post on exporting tips for graduating seniors. Request: I want to arrange my pictures in a visually pleasing fashion. Solution: Activate Jetpack to gain access to more robust photo gallery options and Visit the Working with Images section of the Resource Center for additional support. 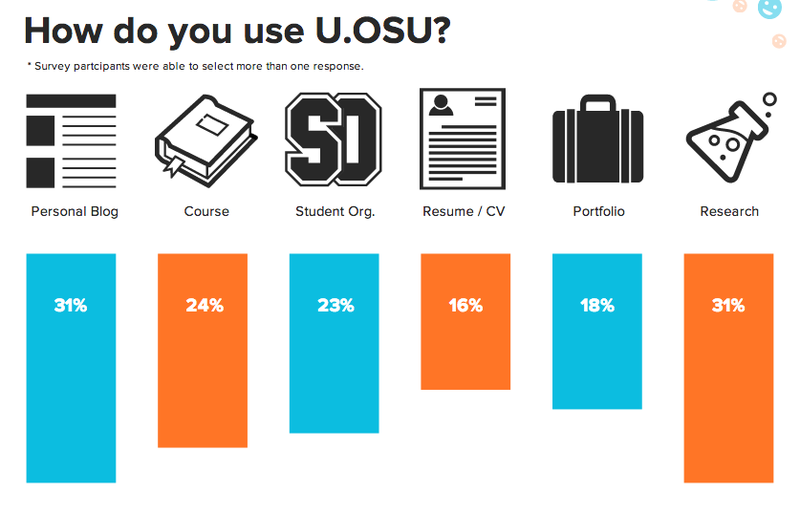 Share your stories on social media with #Uosu, check out the Resource Center for Help Articles, and contact u@osu.edu with any questions or concerns.